What are Funko Pop! Vinyls? Pop! Vinyls are a line of vinyl pop culture figures/bobbleheads produced by Funko Inc. The Harry Potter collection has been in production since 2015 and currently includes 70 figures (excluding same-figure variations). The Fantastic Beasts line currently includes 27 figures (excluding variations). The standard Pop! Vinyl figure is 3.75″ tall (some creatures in the Potter/Beasts line are larger/smaller). What are exclusive Pop! Vinyls? Specific figures (either unique molds or variations on existing figures) are often exclusive to conventions (like San Diego Comic-Con) or retailers (such as Barnes & Noble). While exclusive, these figures can usually be sourced online (e.g. Amazon/eBay) and through additional pop culture distributors (e.g. Popcultcha). Exclusive and variation (see below) Pop! Vinyl figures are usually rarer than standard Pop! figures. 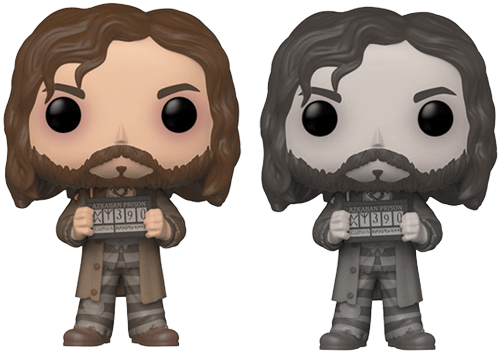 #67 Sirius Black (Azkaban) regular and chase edition. Chase Edition? Flocked? Glow In The Dark? Super Sized? Chase editions are rarer than regular Pop! Vinyl figures, and are produced in limited supply. Chase editions are usually a variation (such as the colour/finish/prop) of a common Pop!. Example: #14 Newt Scamander (Book). Super Sized figures are larger than the standard Pop! Vinyl. Super Sized figures are either 6″ or 10″. Like the name suggests, these Pop! Vinyl figures can glow in the dark. Example: #62 Nearly Headless Nick. Flocked Pop! Vinyl figures have a light furry or fuzzy coating. Invisible Pop! Vinyl figures are translucent. These Pop! Vinyl figures are sepia (reddish-brown) tinted. These Pop! Vinyl figures are black and white. These Pop! Vinyl figures are sold as part of a three-pack. Example: #23 Cornish Pixie, #24 Mandrake, #25 Grindylow. Movie Moments depict an iconic scene from the films. Example: #82 Ron Weasley (Riding Chess Piece). How do I get a chase edition? Some vendors will sell the chase edition separately, usually at a significantly higher cost. Otherwise, it’s luck of the draw. Good luck! There’s no word yet on why we haven’t seen figure #70. It might be a 3-pack in 2019<. Which figures are the rarest? Look no further! We’ve compiled a guide to the 10 rarest Harry Potter figures and where you can find them. Why do some items have a Funko number? Standard Pop! Vinyl figures have a Funko reference number (e.g #5858) and are not exclusive to a convention or third-party retailer. They are the most common figures, and the easiest to track down. What is a pre-release figure? Pre-release figures (like our Horcrux destroying friend Neville Longbottom) are exclusive to a particular retailer (e.g. Barnes & Noble) prior to a general release. Funko are no longer manufacturing this figure. Existing stock might be available through affiliated retailers, pop culture distributors, or on eBay. We show current availability information for vaulted figures where possible. Where’s Tonks? Bill & Fleur? Molly Weasley? Cho Chang? Lavendar Brown? Where are Lily and James! For more information, here’s a blog post about what we know about wave 6 so far. Follow our socials for up-to-date information about these new figures. How often are new waves of Pop! figures released? New Harry Potter Pop! Vinyl figures are released in multiple waves per year. Exclusive figures are often revealed or released during the big pop culture conventions: San Diego Comic-Con (July), New York Comic-Con (October) and New York Toy Fair (February). 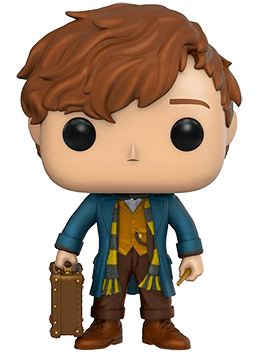 I’m looking for a particular Harry Potter or Fantastic Beasts Pop! Vinyl and I can’t find it anywhere! Get in touch and we’ll try and point you in the right direction 😊. Where can I find a list of retailer exclusive Pop! Vinyl figures? How can I make sure I’m buying an authentic Pop!? Buying Pop! Vinyl figures from reputable websites (Amazon, Popcultcha etc.) and through retailer websites or physical stores is very safe. eBay is generally fine too, but you should be careful when buying rarer figures (like chase editions). Check the seller’s feedback and be aware of generic stock photography. Look for authentic stickers on the packaging and check for an official stamp on the figure’s foot. This website has a really useful guide to spotting fakes. Harry Potter Pop! 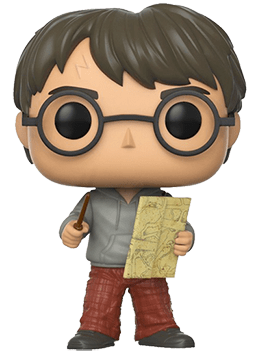 Vinyls (harrypotterpopvinyls.com) is an unofficial guide to the ever expanding Funko! Pop Vinyl universe created by Harry Potter Fan Zone (@hpfz). Harry Potter Fan Zone is one of the largest Harry Potter fan websites on the web, and has been a trusted source of ‘Potter’ news and exclusives since 2003. Harry Potter Fan Zone is one of only a handful of fan sites to win the prestigious J.K. Rowling ‘Fan Site Award’ 🏆. Harry Potter Fan Zone is based in Australia 🇦🇺. You can get in contact with us on Twitter at @hppopvinyls or @hpfz, via Facebook, or by email. Where do the the graphics and content on this website come from? All graphics and content on this site are original creations, with the exception of the Pop! Vinyl character renderings and box art which are the property of Funko (and used only for promotional purposes). I want a daily dose of Harry Potter Pop! Vinyl goodness!